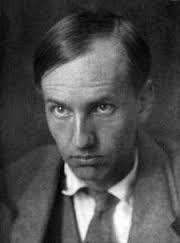 Dan Andersson was a Swedish author, poet and composer, who became a cult figure in his native Sweden posthumously. Regarded as one of Sweden’s greatest ever poets, his themes of naturalist mysticism and searching for God continue to resonate with his readers to this day. Andersson’s memory has been commemorated with two stamps in his honour, a museum in his hometown of Ludrika, in addition to a Dan Andersson week, celebrated in the first week of every August. There is also a bust of the iconic poet in the country’s capital, Gothenburg. The thirty-two year old Andersson met his premature demise when he went to Stockholm in September 1920 to try and secure a job at the newspaper Social-Demokraten. On arrival at the hotel he was due to stay in, the Hotel Hellman, the receptionist failed to inform him that his room had just been treated with hydrogen cyanide, in an effort to eradicate an infestation of bed bugs. At three pm on September 16th 1920 Andersson was found dead in his room. The husband of Frankenstein author, Mary Shelley, Percy Bysshe Shelley was an English Romantic poet. 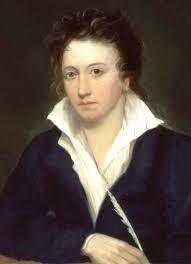 Shelley did not achieve fame during his short lifetime, in part because publishers were reluctant to publish his work, due to his radical political and social views. Today he is regarded as one of the greatest lyric poets of the English language. The talented poet met his premature end when he drowned in a storm while sailing off the coast of Italy. There has been much speculation over the exact cause of his death, with theories ranging from murder to suicide. Events were to take a bizarre turn when Shelley’s washed-up body was cremated on the beach. The poet’s heart refused to burn, probably due to a heart condition that had caused it to calcify. Edward Trelawny, a friend of the deceased, removed the heart from the fire and gave it to Mary Shelley. What happened next is much debated, with some claiming that the poet’s wife kept the crumbling remains in her desk. The heart was later buried alongside her son, Percy Florence.